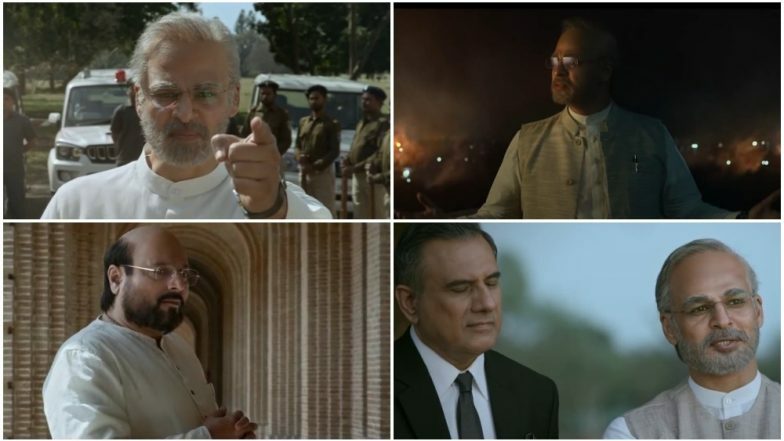 There has been a lot, lot curiosity around the biopic of Prime Minister Narendra Modi and it's trailer! Starring Vivek Oberoi in the lead, the movie named PM Narendra Modi has created a stir on the social media. There have been attempts of making movies around him in the past in one way or the either. However, this one remains the biggest of them with all the eyes glued to it. PM Narendra Modi Biopic: Yatin Karyekar and Rajendra Gupta Join in Vivek Oberoi’s Film. Directed by Omung Kumar, the film is easily one of the most hyped ones of the year. The story is about his life as a common man to rising to be the PM of India. After a long wait, the audience gets to see the trailer of the film now. In the trailer, there is a clear indication that the movie is made to show Modi in a very positive light. The film tries to show him as a desh-bhakt who wanted to be an ascetic, and later was involved in the Kashmir struggle and Emergency rebellion. We also get to see Manoj Joshi as Amit Shah and Boman Irani as Ratan Tata. There is also a sly intention to show Indira Gandhi in a negative light. Vivek Oberoi has also been credited as one of the dialogue writers. There are also reference to Gujarat riots and terrorist attacks on India. The shooting of the flick was extensively done in various places in the country. Not just Mumbai but a major portion was shot in Ahmedabad, Kutch, Bhuj and even in the serene mountains of Uttarakhand. Speaking of the film, producer Sandip Ssingh said, "This is a very special film and a story that needs to be told.I hope this story of faith inspires the audiences. We are excited and happy to release the story of 1.3 billion people." The film is slated to release on April 12, 2019. How did you find the trailer?